The Inspiration Circle is a facilitated group session all about personal development, discovery and exploration. Join us to connect with fellow members and come together in a welcoming group setting! This monthly event is a great opportunity to share motivation, ideas, coaching, and mentorship. Feeling a call to adventure? A yearning to live your life engaged as a whole person? A complete recalibration and attunement of body, mind, heart and soul? Come be inspired to make the leap to a whole-hearted existence, to reclaim what Lynne Twist calls “sufficiency” i.e. knowing that who you are and what you have is enough, and what it means to stand fully in your purpose and in service to the planet. Experience a taste of the magic of the rainforest and the transformational power of being immersed in ancient ways of being in nature, in community, and in direction relationship with Spirit. Hear stories from Leadership Coach Bristol Baughan about how she learned to face her fears and navigate uncertainty, and was forever changed by the beauty and wildness of the jungle. Learn from Pachamama Alliance Journey Leader Rebecca Rogers about the "Women Defenders of the Forest" (Ikiama Nukuri, in the Achuar indigenous language) and learn from their example of how to be powerful allies for each other in a global movement of women rising up, finding our voices, and redefining what "women leadership" means in the modern world. This will be an interactive experience to support you in connecting more deeply to yourself, each other, and to your purpose in service to the planet. 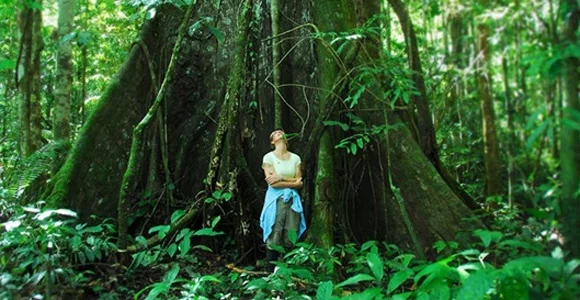 Rebecca Rogers has been working with rainforest communities in the Ecuadorian Amazon since 2004 and currently manages the Journeys Program for the Pachamama Alliance: a non-profit organization dedicated to creating a world that is socially just, thriving and sustainable for all beings. Pachamama Journeys are life-changing travel immersions to one of the most pristine, biologically diverse and spiritually potent places on the planet: the Amazon Rainforest. A Pachamama Journey offers the rare privilege to have a profound immersion with intact indigenous people where you are invited into their ancestral culture, providing direct experience to learn from an uninterrupted lineage of wisdom, awakening an ancient memory stored in our very DNA of a natural and harmonious way of living and being. Prior to her current role, Rebecca managed an international leadership and fundraising initiative for the non-profit Off the Mat, Into the World, worked in business partnerships with Conservation International, helped to train Peace Corps volunteers preparing for international service, and implemented a human rights education campaign for youth with Amnesty International. 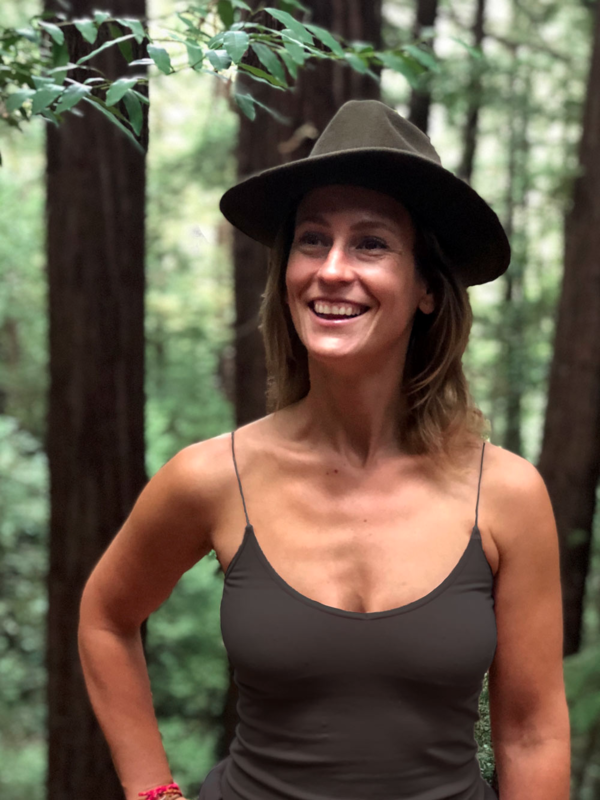 Rebecca is a two-term Lululemon Ambassador and has taught specialized classes bridging yoga with activism and embodied leadership for Wanderlust Squaw Valley, Wanderlust 108 San Francisco and Wisdom 2.0. She has a B.A. in International Studies and an M.A. in International Peace & Conflict Resolution from the American University School of International Service. Bristol Baughan is an Executive Producer of Emmy-winning and Oscar-Nominated films and founded the consultancy Inner Astronauts to invite people to shift from the relentless pursuit for "more" (money, power, love) and into aligned purpose, fulfillment, and creative contribution. Bristol works with leaders from Hollywood to Silicon Valley and around the world through 1:1 coaching and a playful, bold, and brave presentation (she sings! ), revealing surprising insights into how we aim this drive for "more" in the direction of inspiration and connection with our colleagues, community, and planet. She started her career in the film and media business at GOOD for HBO, Paramount, and Showtime. Her feature films WHICH WAY HOME, BY THE PEOPLE: THE ELECTION OF BARACK OBAMA, THE OTHER SHORE, THE DIANA NYAD STORY, and SON OF RAMBOW premiered at the Sundance, Tribeca, and SXSW Film Festivals. She is a TED Fellow and served as a delegate for the State Department Documentary Showcase in China and as an intern at the White House. She has traveled extensively in Europe, Tanzania, Nepal, India, and Thailand. Bristol holds a B.A. in International Studies from the American University School of International Service and an M.A. in Spiritual Psychology from the University of Santa Monica.